Newly installed Moodle theme not showing up in the theme selector page? So you have just installed a new Moodle theme, but when you go to the theme selector page your theme is not showing up there and you are stuck. 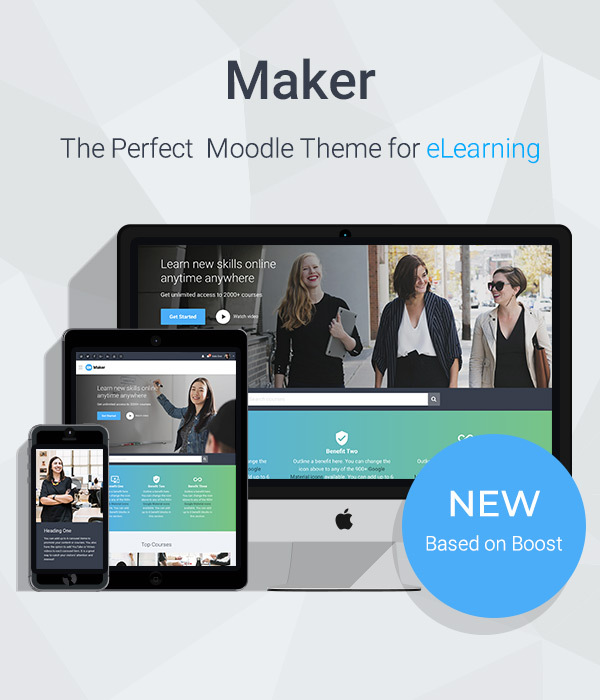 In this tutorial we will show you some simple steps you can take to make the Moodle theme appear in the theme selector page. It’s recommended to use an FTP program to upload the unzipped theme folder to your server. For more details about installing a new theme you can check out our tutorial here. Tip: Do NOT upload the theme zip file and unzip on your server directly as this may cause problems. 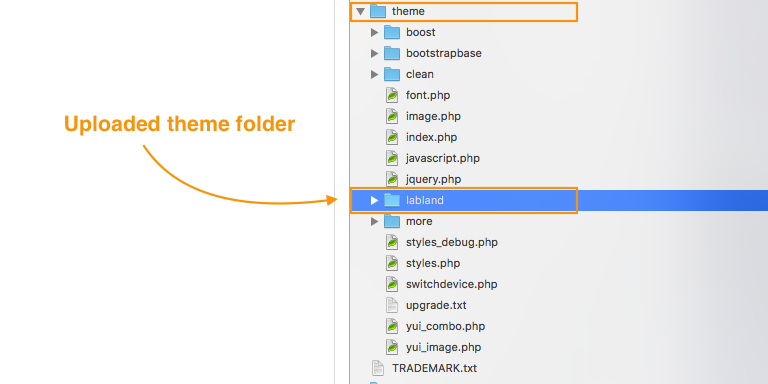 Once uploading is finished, on your server you should see the uploaded theme folder right under the Moodle theme folder as shown in the figure below: moodle > theme > [theme name]. Please also remember to check all the individual files inside of the theme folder are uploaded. 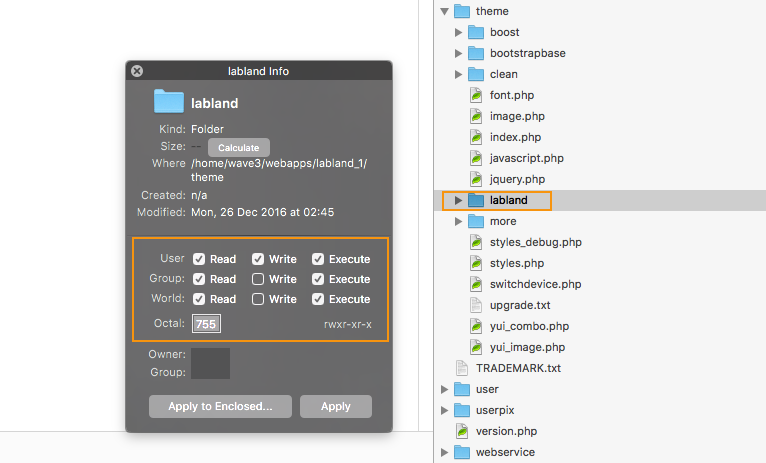 Make sure the uploaded theme folder and its files/folders have the correct permissions on your server. They should all have permission 755. If you are not sure how to change file permissions on your server please consult your server provider/support. Purge Moodle cache to make sure all the changes on your server are picked up by your Moodle site. Visit your Moodle site’s admin notifications page: http://www.yourmoodlesite/admin/ This step should trigger the newly installed theme if you have followed the previous three steps correctly. Hopefully by now you should see your new theme appear in the theme selector page!